Fully Remodeled Home with Protected Flatiron Views in Boulder County. Amazing indoor/outdoor living - spacious upper level deck perfect for entertaining and watching the sunset behind the flatirons. 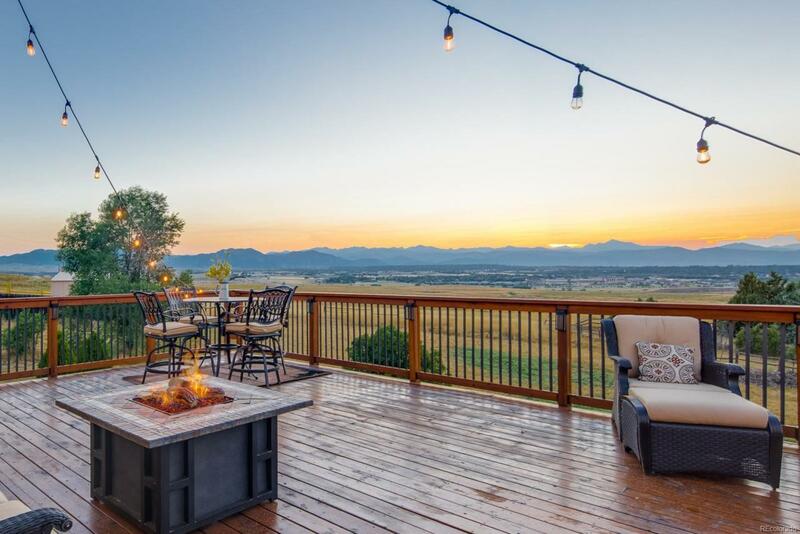 The outdoor space doesn't stop there, with lower level covered patio, fire pit, hot tub, and custom chicken coop on 1.3 acres backing into Boulder County Open Space. Zoned for horse property. Stunning reclaimed wood paneling on the main level are complimented with floating stairs with metal railings. The gourmet kitchen boasts ample seating space with sleek modern finishes, and stainless steel appliances. Cozy up to the main level fireplace while entertaining or relaxing in the family room with vaulted ceilings. Main floor master, with five piece bath including steam shower and soaking tub. Future expansion plans gives more space between home and Dillon Rd, including a frontage road separated by berm. City plan drawings show how exceptional the long term plan is for this property.